Special geography, making the castle already naturally a defendable stronghold, and clever policies sustained Luxembourg a sovereign state in Europe. Except a vanished steel industry in the South of the country, in Esch-sur-Alzette and Differdange, and agriculture in the North, there are no natural resources to exploit. Still Luxembourg has a GDP per capita around US$ 80 000 which makes it at times the world's "richest" country. Before favorable tax policies and banks which back then still kept their secrets, started to transform Luxembourg initially into what it is today, I spent a big part of my childhood here with my family. Then it was different. With my cousin, I strolled mainly around the mining and processing facilities of the Arbed around Differdange, explored shafts and tunnels and already experienced "open borders" by ignoring checkpoints and making our ways to France through the forest. The city of Luxembourg at that time, in the early 70s, was much less wealthy than today. The "Grund" in the Petrus Valley, just at the foot of the escarpment on which the Haut Ville is positioned, was still one of the town's poorest quarters around the city prison. Arriving the town by train and walking along the streets towards Place d'Armes, was a route through deteriorated streets. 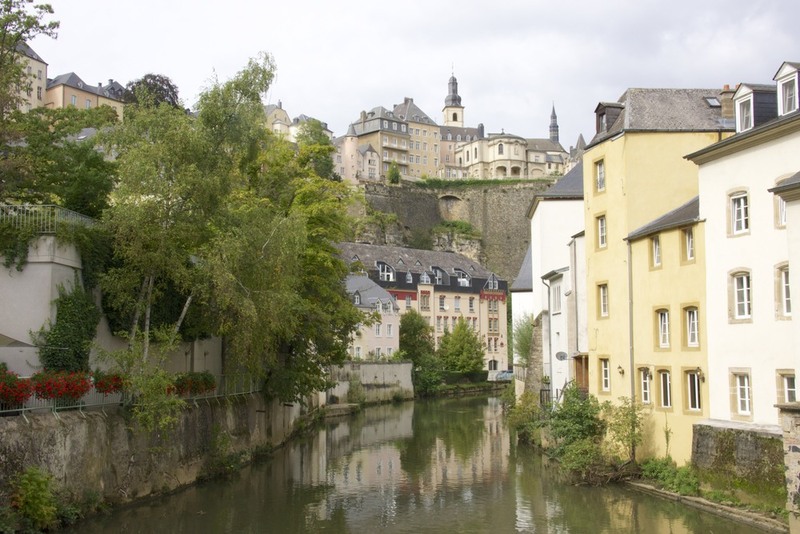 Now Luxembourg is a vibrant, international and nearly cosmopolitain city. Now the "Grund" hosts European company head quarters like those of Skype and Amazon, and is a place of entertainment and culture. I liked my recent stop over in Luxembourg a lot. Just one night though and then off on the TGV to Paris.